COSCO SHIPPING Lines Company Limited (“COSCO SHIPPING Lines”), a wholly-owned subsidiary of COSCO SHIPPING Holdings Co., Ltd. (“COSCO SHIPPING Holdings” or the “Company”) together with its subsidiaries (collectively the “Group”) and its subsidiaries, COSCO (Cayman) Mercury Co., Ltd. (“COSCO Mercury”) and New Golden Sea Shipping Pte. 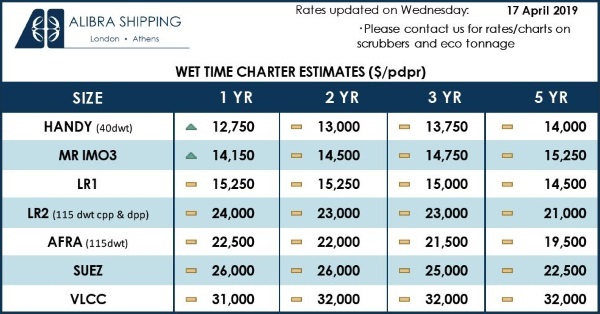 Ltd. (“New Golden Sea Shipping”) (COSCO SHIPPING Lines, COSCO Mercury and New Golden Sea Shipping collectively referred to as “COSCO SHIPPING Lines Group”) entered into the Time Charter Agreement with Pacific International Lines Pte. Ltd. “Pacific International Lines”) in relation to mutual charting of vessels for operation in light of their respective business needs (the “Transaction”). The Transaction is a connected transaction. The Transaction does not constitute a material asset restructuring. The Transaction is not required to be considered and approved at the shareholders’ general meeting of the Company. On 5 September 2017, the COSCO SHIPPING Lines Group entered into a time charter agreement with Pacific International Lines (the “Time Charter Agreement”), pursuant to which the COSCO SHIPPING Lines Group shall lease a 6500TEU container vessel with shore supply and five 4250TEU container vessels from Pacific International Lines and chart six 5500TEU container vessels of COSCO SHIPPING Lines to Pacific International Lines. Such connected transaction does not constitute a material asset restructuring under the Administrative Measures on Material Asset Restructuring of Listed Companies. Since Mr. Teo Siong Seng, managing director of Pacific International Lines, was elected as an independent non-executive director of the fifth session of the board of directors of the Company (the “Board”) at the 2016 annual general meeting of the Company with effect from 25 May 2017, Pacific International Lines is a connected person of the Company under Rule 10.1.3 (3) of the Rules Governing the Listing of Securities on Shanghai Stock Exchange. Therefore，the Transaction is a connected transaction of the Company. 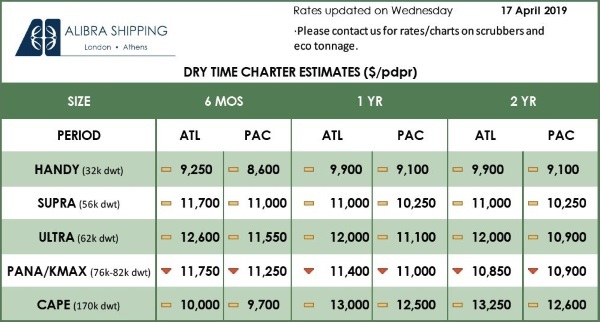 The aggregate transaction amount of charting vessels involved in the Transaction is approximately RMB123 million (calculated on the assumption that each charterer will choose to extend the charter period by 30 days at the expiry date of the charter period as agreed in the Time Charter Agreement and converted based on the exchange rate of US$ 1: RMB6.54, being the central parity of RMB exchange rate in the interbank foreign exchange market as announced with authorization from China Foreign Exchange Trading Centre on 5 September 2017, same below). In the past twelve months, there were only daily connected transactions effective from 30 August 2017 under the Shipping Services Master Agreement between the Company and Pacific International Lines, details of which are set out in the Announcement on Daily Connected Transaction of COSCO SHIPPING Holdings (No. of announcement: Lin 2017-055), and the Transaction is not required to be considered and approved at the shareholders’ general meeting of the Company. & Son Pte. Ltd. and South Pacific International Holdings Ltd. It is principally engaged in the business of shipping, manufacturing of containers, shipping agency, warehousing, logistics and yard. It is incorporated in Singapore. Pursuant to the Time Charter Agreement, the subject of the Transaction is a 6500TEU container vessel with shore supply and five 4250TEU container vessels to be leased by Pacific International Lines to COSCO SHIPPING Lines Group and six 5500TEU container vessels to be leased by COSCO SHIPPING Lines to Pacific International Lines. Such vessels are not subject to any pledge, mortgage or other similar restrictions, litigation, arbitration, seizure or freeze or restricted right of use. Rental price (including price for leasing from and to a party under time charter) is USD1.1 (approximately RMB7.19) per TEU per day. 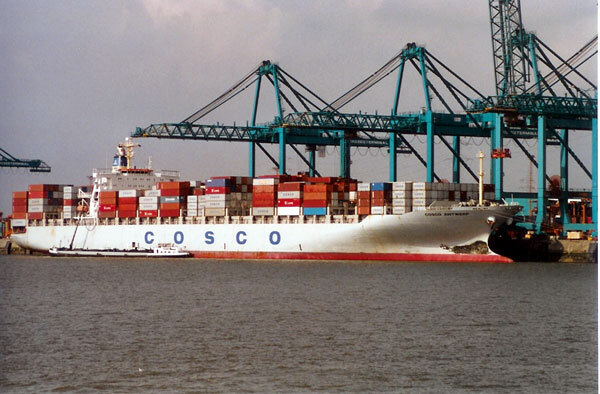 Taking into account the scarcity of the types of vessels to be chartered, the significant fluctuation in the market rates of such types of vessels and the mutually beneficial cooperation relationship between the COSCO SHIPPING Lines Group and Pacific International Lines, the price has been arrived at after arm’s length negotiation between parties and is fair and reasonable.